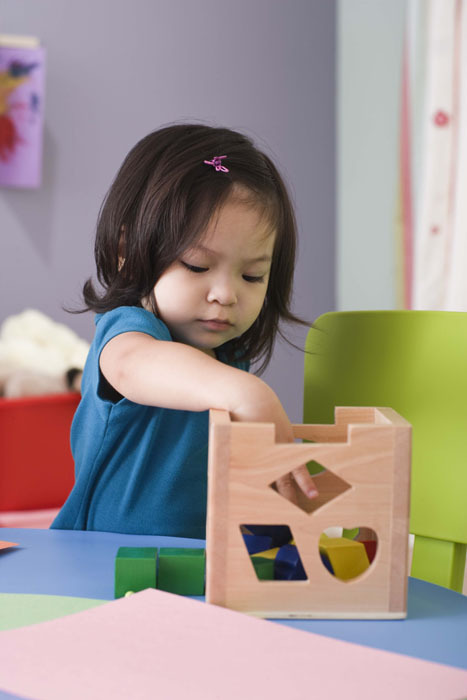 Toddlers thrive when they are in a loving, supportive environment that allows them to explore and discover under the careful supervision and direction of teachers who encourage and cherish the child's accomplishments. Toddlers are a unique group and require a unique teacher. At Concord Children's Academy, we LOVE our Toddlers! Toddlers are actually a really fun age group. Toddlers are learning to talk, engage and fully interact with their peers. They need lots of positive reinforcement and direction. Pottying is a big milestone at this age. Our Teachers utilize several techniques and work in conjunction with the Parents to achieve success. Quite often the whole class is involved such as with the "Potty Club". We even have "Potty Parades"...celebrating successes! It's quite the event! The Toddler stage can at times be wonderful and joyous as your child is learning by leaps and bounds and it can also be frustrating as your child seems to be easily prone to tantrums and outbursts. Our teachers are trained to lovingly guide your Toddler through this stage. The developmental growth at this stage is truly astounding... why not ensure that your child receives the most well rounded program? At Concord Children's Academy, we offer a top notch educational program, but, we are dedicated to the WHOLE CHILD...this means that we are also dedicated to making sure that each child feels loved, secure and happy while they are learning. however, we found when we begin Circle Time in the Toddler Room, it makes the transition and interactions complete in the Pre-School classrooms. We begin letter recognition, name recognition, shapes, colors and more in the Toddler Room. Our Toddlers are busy bees!! The Toddler Room truly begins the structured daily program phase of an educational preschool. The Toddlers have a structured daily schedule of Circle Time, Center Time (Art, Science, Blocks, Dramatic Play, Library, Music and Manipulatives), outside play and learning, lunch and free time, potty times, naptime and more! You will receive daily communication from your child's teacher outlining the daily lesson plan and detailing your child's day including lunches, pottying and miscellaneous information. Our goal in the Toddler Room is that we work together with you to positively, lovingly transitioning your child from the Toddler program to the preschool setting. Our Toddler Room utilizes several curriculums. Our base curriculum is Creative Curriculum, which is recommended by the NC Star Rating system; however, at Concord Children's Academy, we have gone beyond the base curriculum to offer our preschoolers a more well rounded educational approach. We begin Spanish with our Calico Spanish program in the Toddler classroom. Our Character Education Program begins in the Toddler classroom. This is a wonderful age to begin solidly teaching the children in very basic terms about good character and choices. We utilize the 7 Habits of Happy Children. This is a wonderfully, positive program that is a building block of our "Whole Child" educational approach at Concord Children's Academy. Our Toddlers also have use of our Sensory/Tactile Room. At Concord Children's Academy, we founded the Outdoor Learning Initiative. Our Toddlers begin utilizing and learning in our custom Outdoor Learning Center. The Outdoor Learning Initiative is new to the educational landscape and we are proud to be in the forefront of such a positive, happy educational learning approach. Our Outdoor Learning Center was designed by one of the country's leading educational landscape designers with many facets incorporated that were first developed and utilized in Europe. At Concord Children's Academy, we firmly state and believe that we are educating the "Whole Child", our Outdoor Learning Center is part of the foundation when educating the whole child. We believe there is a peace and joy nurtured and developed in learning outdoors in a natural landscape. Concord Children's Academy is strongly and firmly dedicated to the Outdoor Learning Initiative. Many daycares and preschools believe that the Toddler class is basically just a "pottying class." At Concord's Children's Academy, pottying is a part of our class day - but it is not our full class day. Our Toddler students are active, engaged and learning. They are happy and thriving. We hope that you take a moment to tour our program and become a part of our CCA family!